Quilting With Kim: Three Finishes. I have finished three little projects. 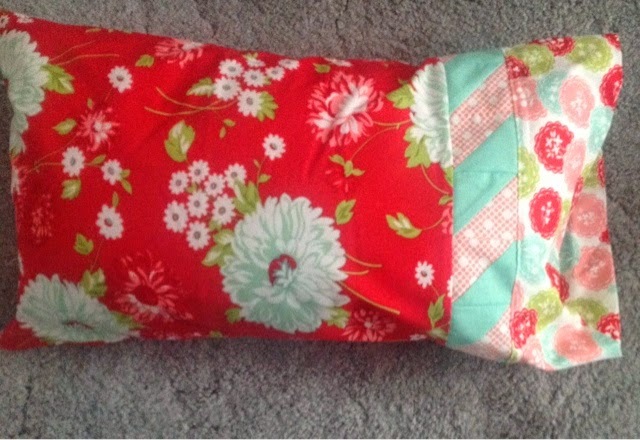 First up is a little pillow using Scrumptious by Bonnie and Camille. A very easy pattern which did not take long to do. Pattern is by Its Sew Emma. 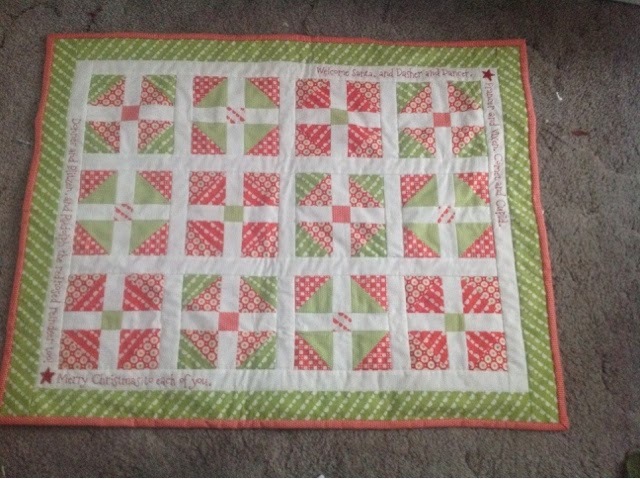 Next up is a Christmas table topper which is a pattern from last year's Quilt Fabric Delights Christmas in July. 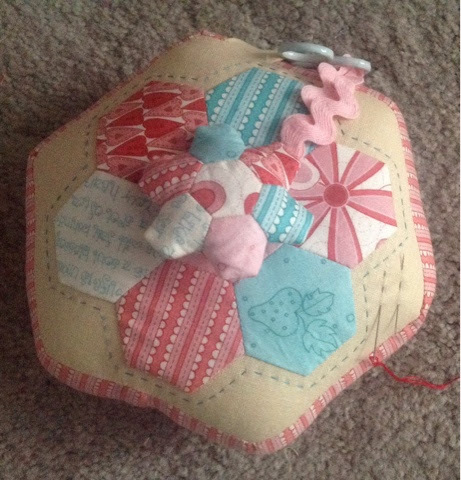 Lastly is a Monster Pincushion by Helen Stubbings. 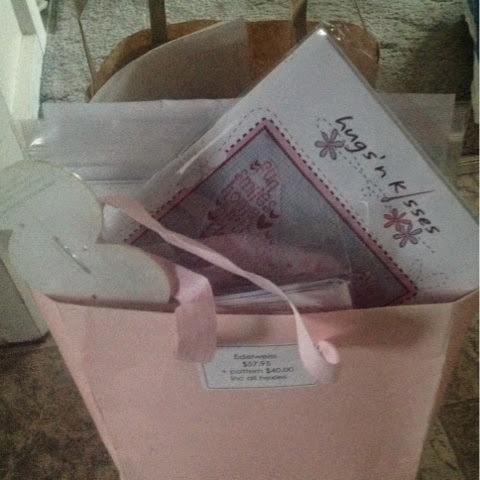 I went to AQC last week and did a make and take class with Helen. I picked up some good tips from her and I purchased some of the appliqué needles tha Helen uses which I found are much better than I had been using. I did get some other treasures. The quilts on display were all great. I kept thinking wow and then I look at the next one and think exactly the same. I also went to a talk by Monica Poole and got some tips on quilt as you go for the Happiness Quilt I am making. Hope everyone has a lovely Easter I am off to do some sewing. Lovely finishes Kim. Have fun with those other treasures! Fabulous finishes Kim... Love the huge pincushion. I am looooooving those pin cushions. Especially the large one.